If you love the great outdoors but come home in desperate need of a hot shower, you’ll love this safe and easy to use water heater. Are you sick of subjecting yourself to freezing bird baths, making do with baby wipes, or queuing for ages to have a shower in a less-than-sanitary caravan park? 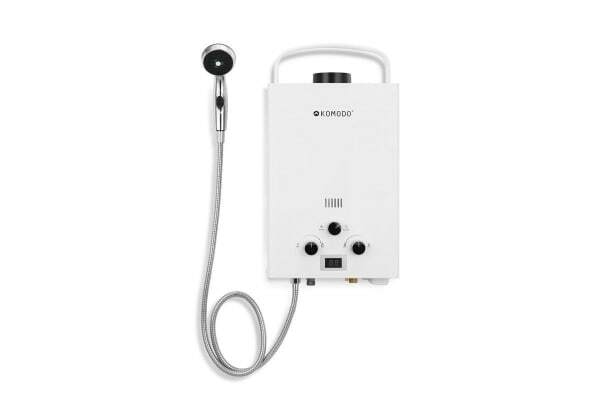 The Komodo Portable Gas Water Heater is a safe, affordable solution. If you can transport gas there, the Komodo Portable Gas Water Heater can work there! 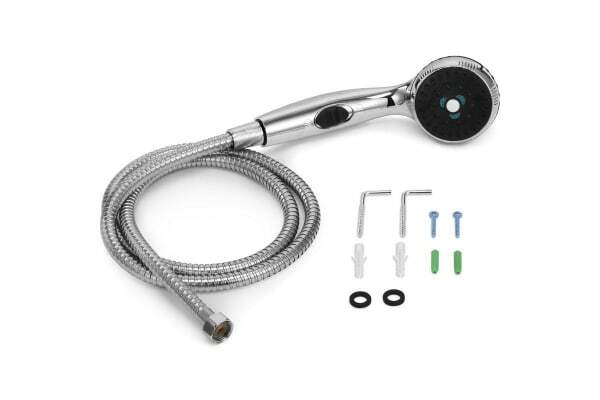 Simply connect your gas and water source, hang using the mounting kit, and enjoy a steady stream of hot water just like that. Compact and weighing only 5.3kgs, it won’t take up valuable car space and is rugged enough to go anywhere from Uxbridge to Uluru. The heater automatically shuts off the gas flow if the flame fails, and also prevents water from going over 50°C, so you enjoy peace of mind when using with the family or pets. 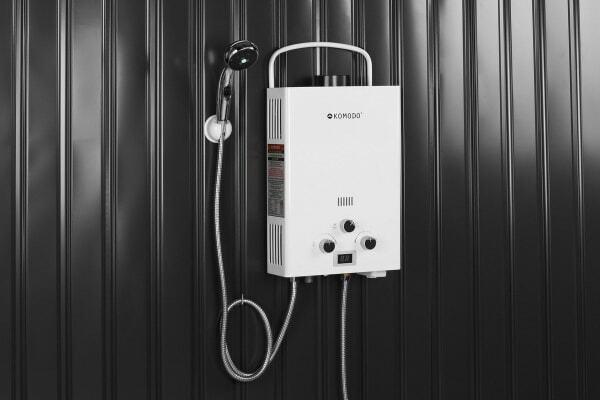 You don’t need a special gas source for the Komodo Portable Gas Water Heater, simply connect to your standard LPG cylinder with the easy-click connecter. You’ll find everything easier with this heater, from bathing the dog to washing the dishes. You can even adjust the water flow for different tasks such as spraying tough dirt from pans or gently rinsing your little one’s face. Outdoor use only. Not to be used for drinking water.